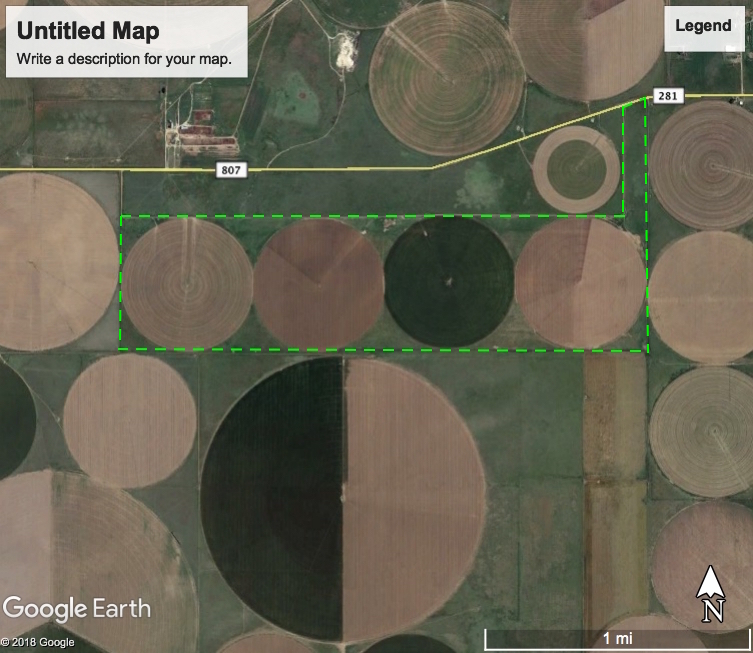 This farm is located close to 3 dairies and a large feedlot. 4 wells, 2 are submersibles and 2 are turbines-pumping a total of 1,000 gpm. History of 2 circles of wheat and 2 circles of corn-all for silage. 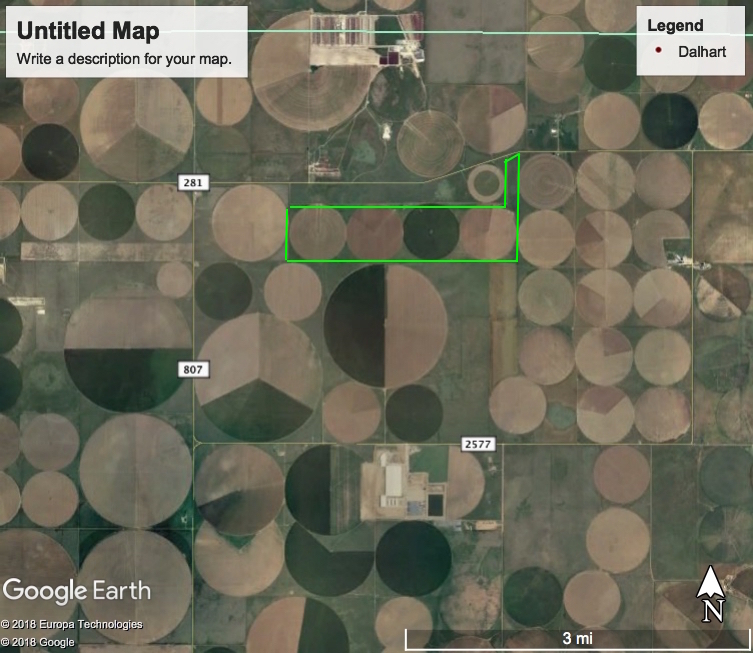 Highway frontage access, less than 10 miles east of Dalhart in Hartley County.